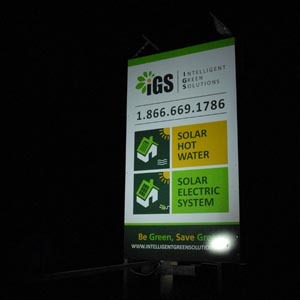 With all of these advantages, and the demand of your customers to present a greener, cleaner, more environmentally friendly face, why would any business even consider installing a traditional sign lighting system, or not replace their current sign lights with new, affordable solar sign lights? Interested in learning more? Check out all of our Solar Sign Lights here.